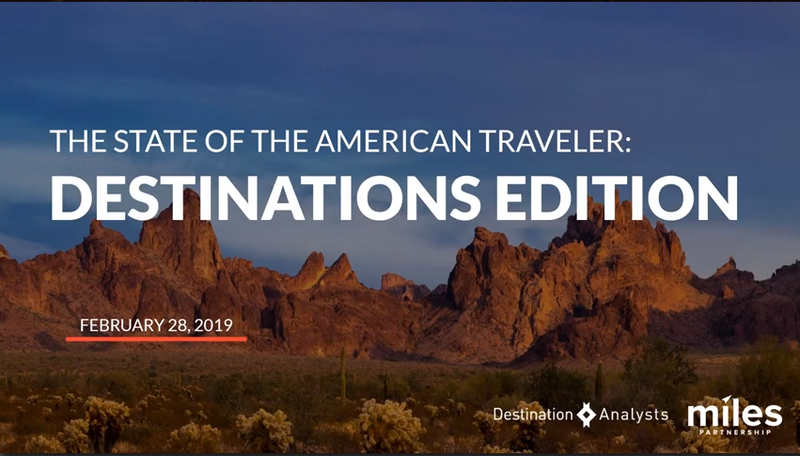 Feb 28th, 2019 Moderator: Erin Francis Cummings; Join us as we share some recent questions answered from the State of the American Traveler Study about travel outlook and the Top Destinations of 2019. 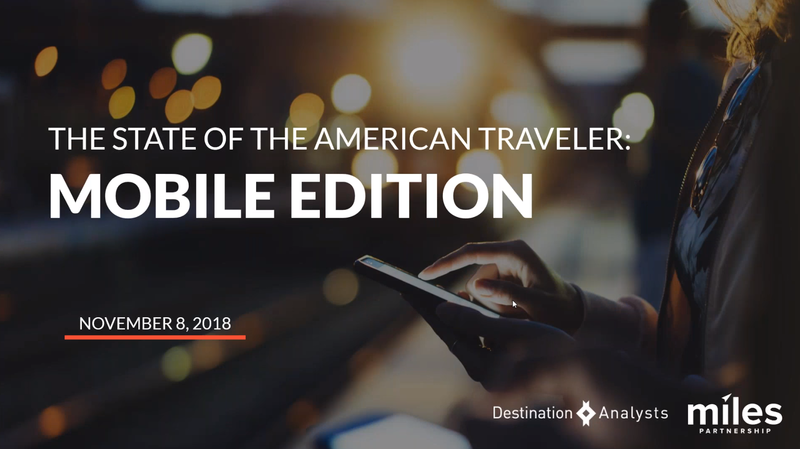 Join us as we share some recent questions answered from the State of the American Traveler Study about travel outlook and how different device types affect planning travel. 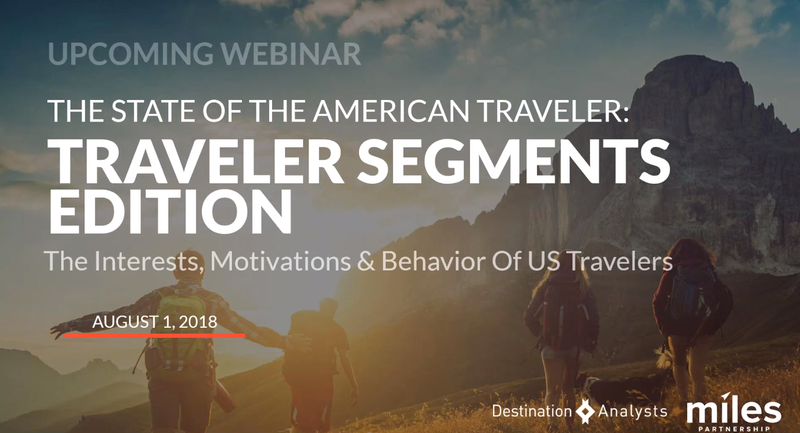 Join us as we share some recent questions answered from the State of the American Traveler Study about travel outlook and how different traveler segments plan travel. 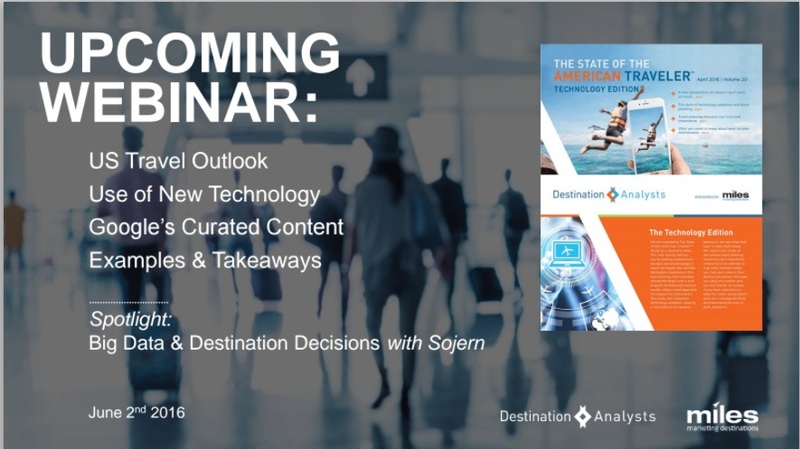 Join us as we share some recent questions answered from the State of the American Traveler Study about travel outlook and the most popular technology use in travel planning. 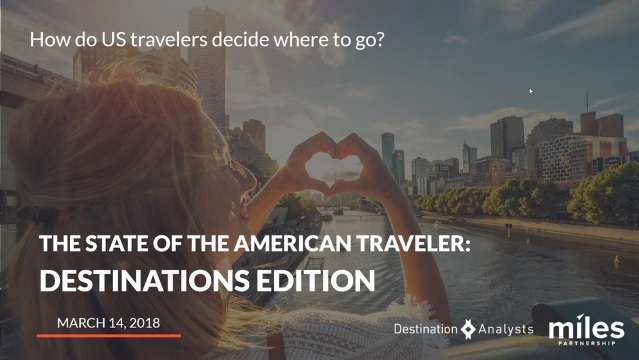 Join us as we share some recent questions answered from the State of the American Traveler Study about travel outlook and the most popular travel destinations. 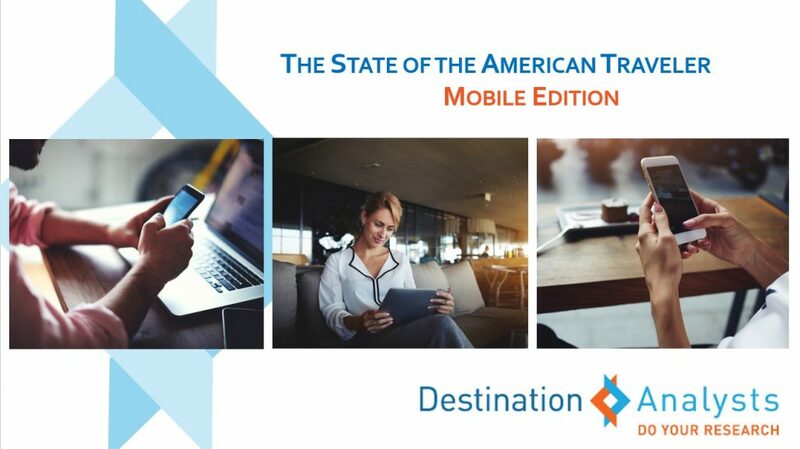 Join us as we share some recent questions answered from the State of the American Traveler Study about travel outlook and the how Mobile Devices are used to plan travel. 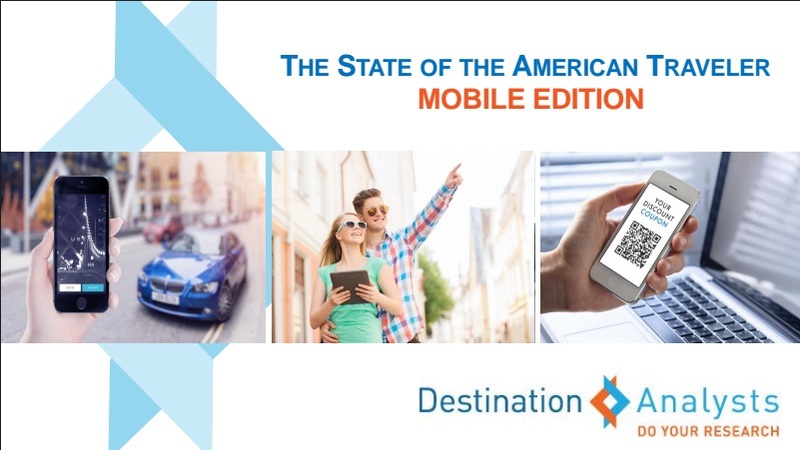 Join us as we share a quick preview of some recent questions answered from the State of the American Traveler Study Mobile Edition. 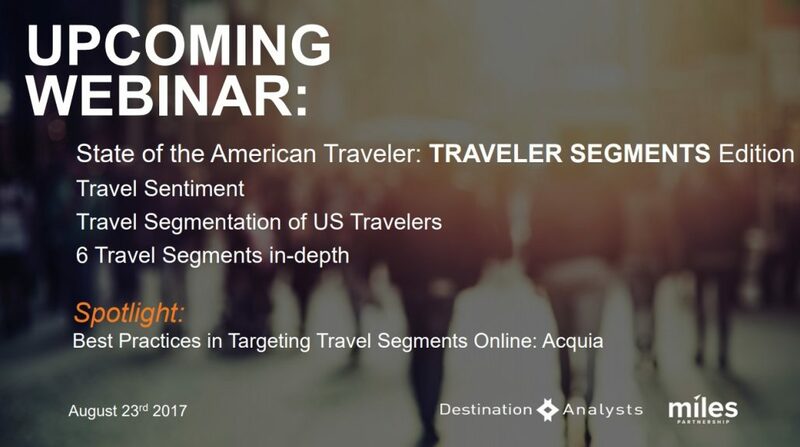 Join us as we share some recent questions answered from the State of the American Traveler Study about travel outlook and the differences between key traveler segments. 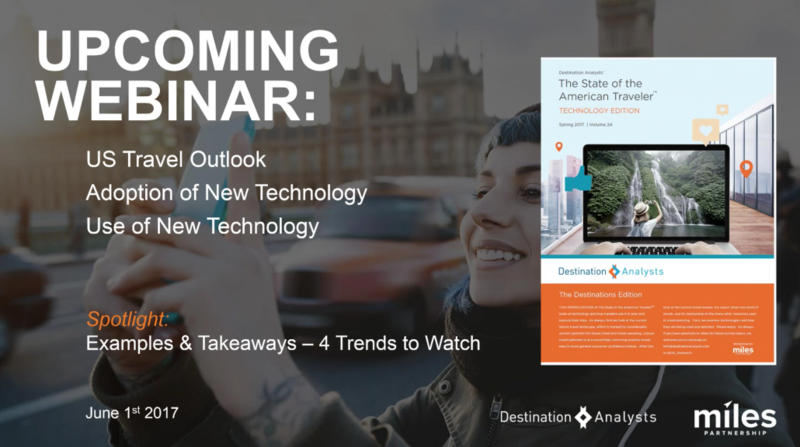 Join us as we share some recent questions answered from the State of the American Traveler Study about travel outlook and the use of new technologies in travel planning. 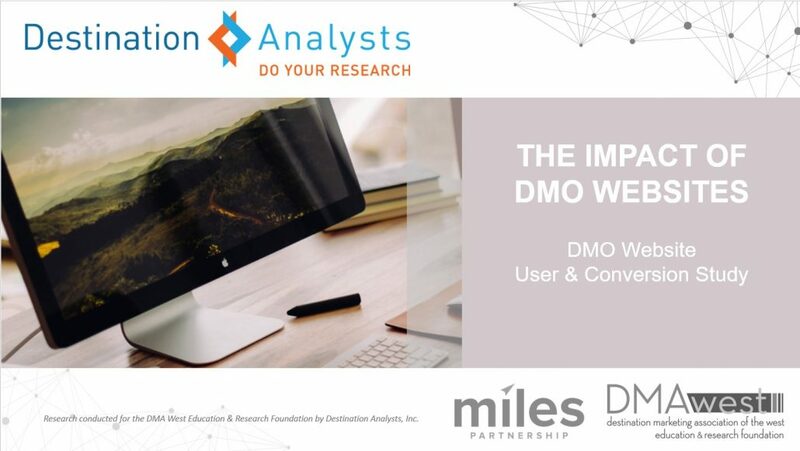 In this webinar we present the findings of a year long cooperative study of the impact of 13 DMO websites. 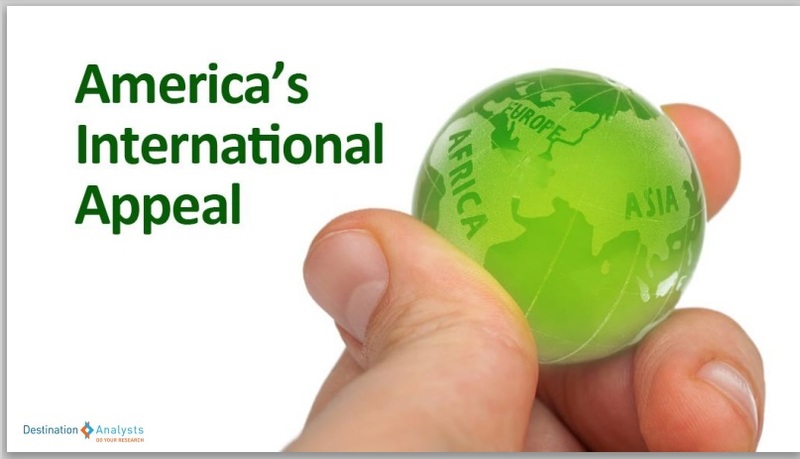 Join us as we share some recent questions answered from the State of the American Traveler Study about travel outlook and top performing destinations. 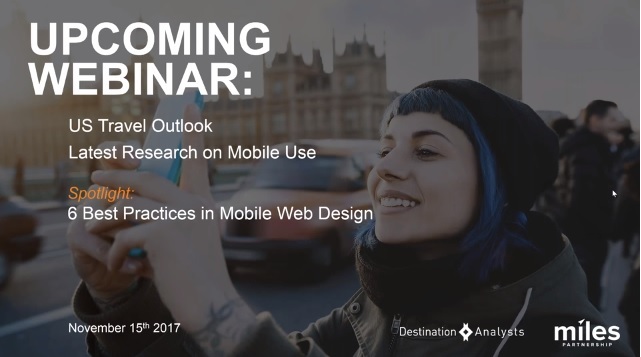 Join us as we share some recent questions answered from the State of the American Traveler Study about travel outlook and mobile trends. Join us as we share some recent questions answered from the State of the American Traveler Study about travel outlook and comparing travelers by generation. 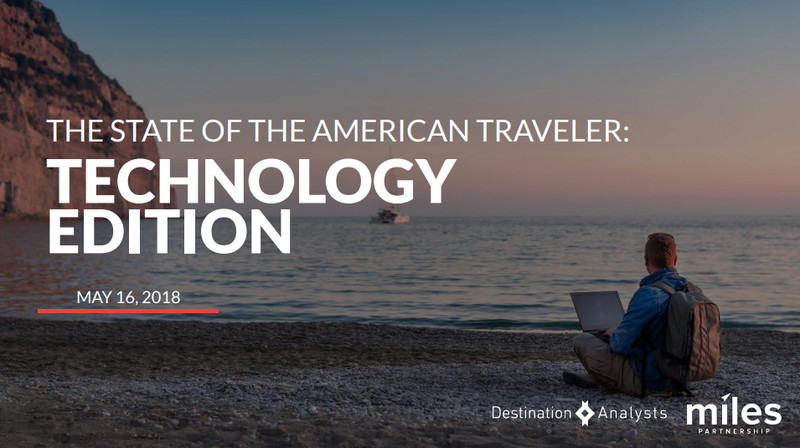 Join us as we share some recent questions answered from the State of the American Traveler Study about travel outlook and technology use in travel planning. 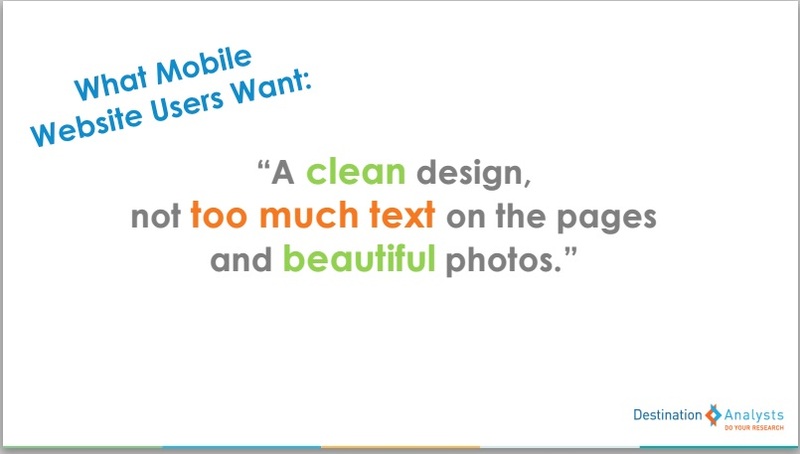 After literally thousands of hours of website usability testing, our Destination Analysts website usability experts share some remarkable mobile website experience findings. 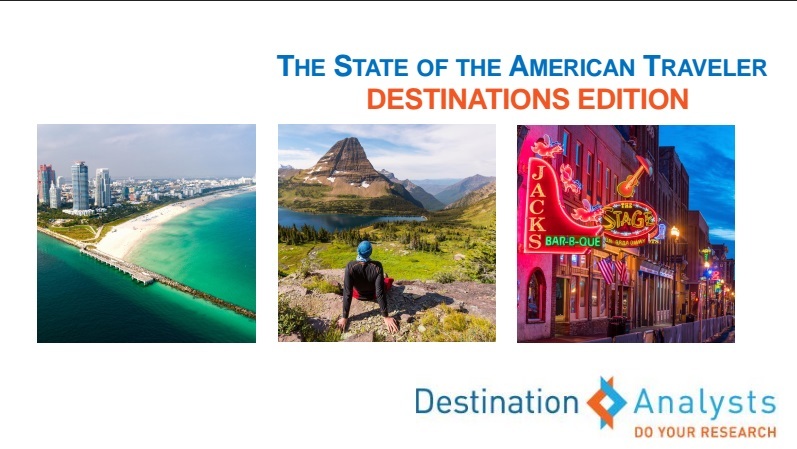 Join us as we share some recent questions answered from the State of the American Traveler Study about travel outlook and destinations that appeal. 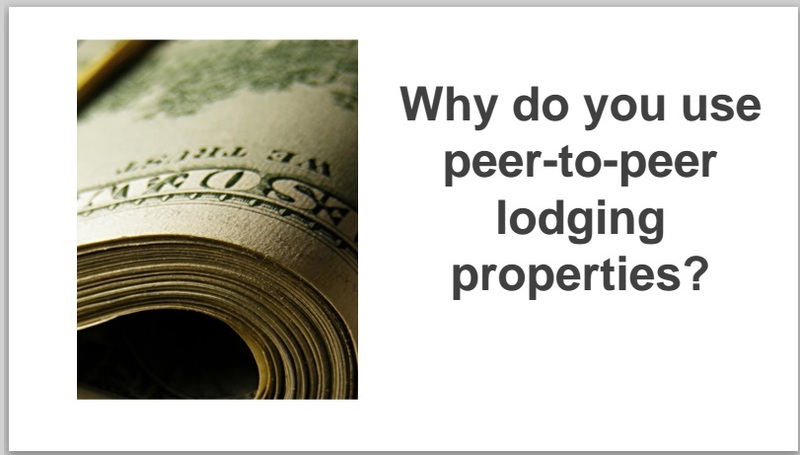 So many questions exist about the peer-to-peer lodging phenomenon. 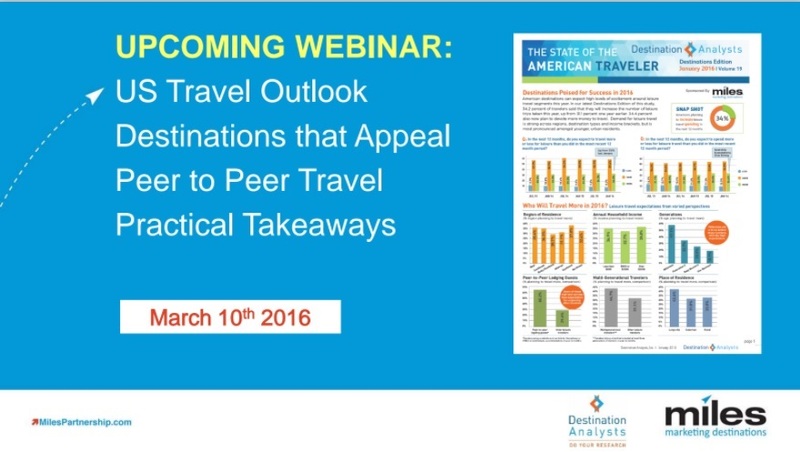 Join us as we share some recent questions answered from the State of the American Traveler Study. Travelers in which countries are hot for America? 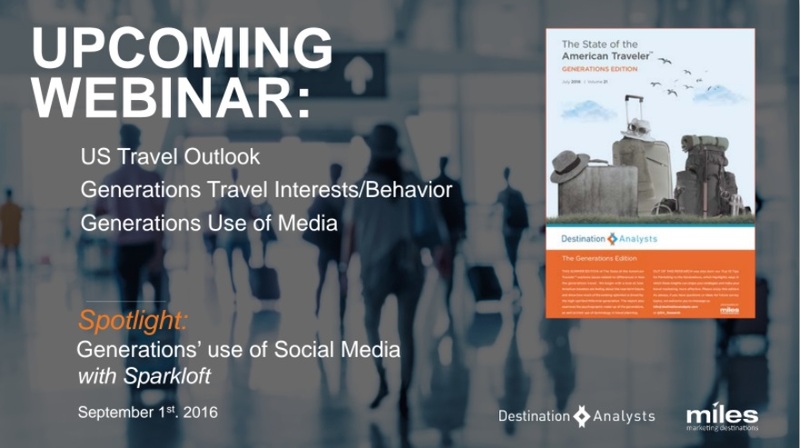 Join us as we share revealing data from Destination Analysts’ annual State of the International Traveler Study. 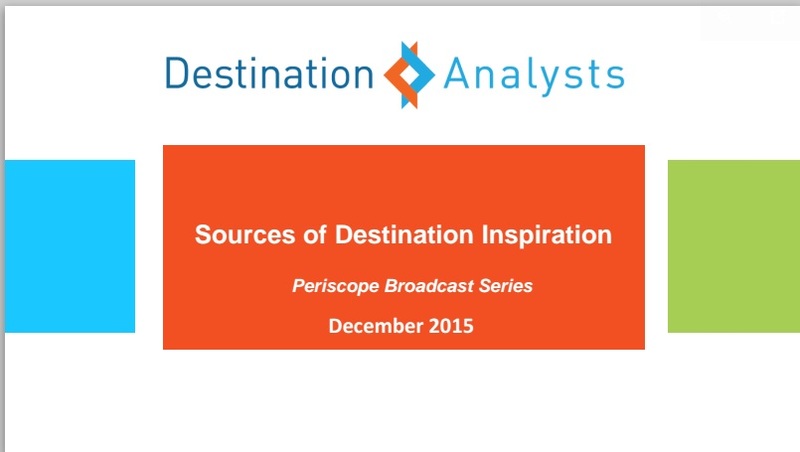 Where do the generations get their destination inspiration? Take a quick look at the Millennials, Gen Xers and Baby Boomers say they find their ideas for places to travel.